Scotland Under-20 fly-half Tommy Allan is set to make his Italy Test debut after being named on their bench for Saturday's game against Australia in Turin. Alberto Di Bernardo gets the starting No.10 shirt but there is every chance Allan could get some game time from the bench. 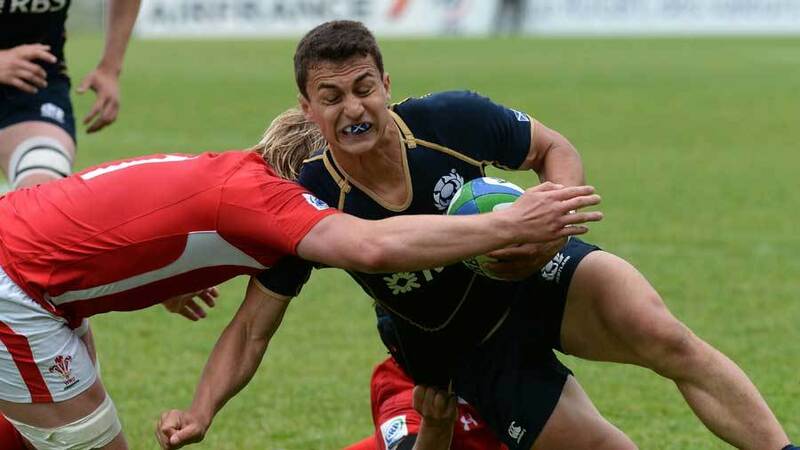 The 20-year-old was born in Italy but played his schoolboy rugby for Scotland. However, he has impressed at Perpignan and Jacques Brunel managed to secure his services for Italy. Elsewhere in the Italy side, Sergio Parisse captains the team with Luke McLean getting the nod at fullback. And McLean is wary of the Wallabies' strength in depth. He said: "Sometimes it's easier when they come off wins, when they're a little over-confident. "I think they backs have their backs to the wall and there's only one way they can go, and that is forward. The last couple of games they have played reasonably well. They finished the rugby championships with a great victory over Argentina, and last weekend they were quite unlucky, for whatever reasons, to come away with the win in London. "I think (criticism of) their performances have been a little bit over-exaggerated." Replacements: Leonardo Ghiraldini, Matias Aguero, Lorenzo Cittadini, Quintin Geldenhuys, Joshua Furno, Tobias Botes, Tommaso Allan, Tommaso Iannone.